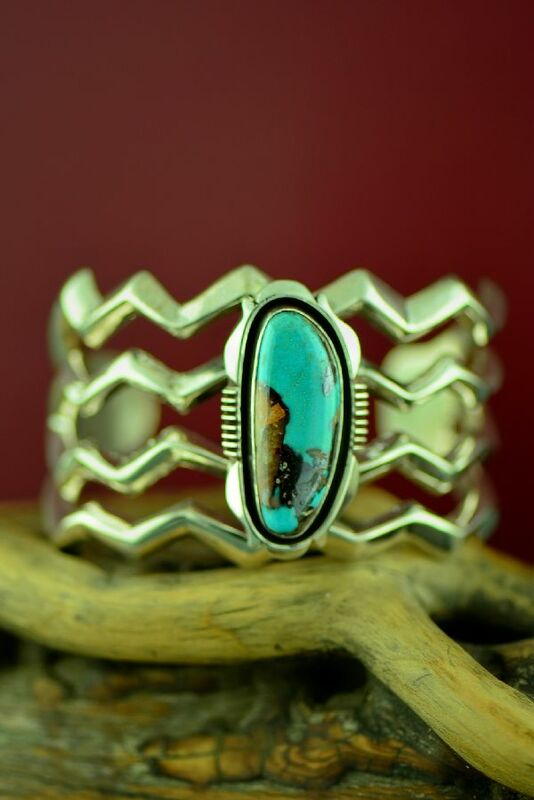 Navajo artist Will Denetdale continues to create some of the most incredible jewelry. 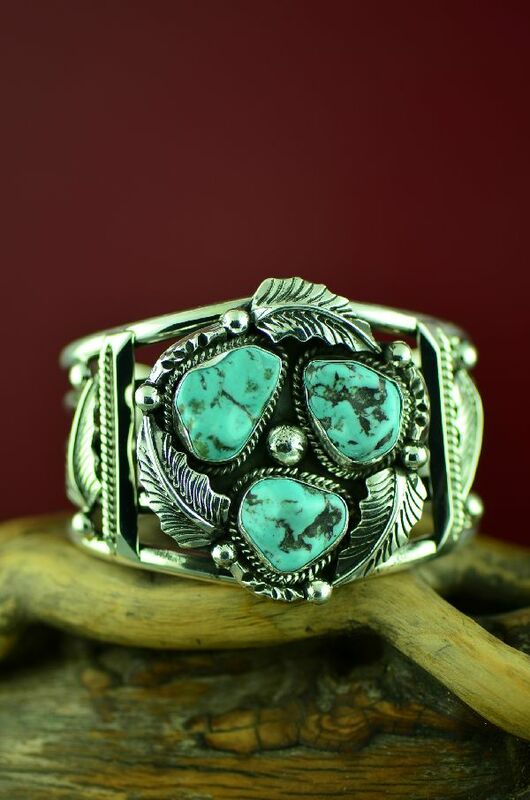 This wonderful high grade Turquoise Mountain Turquoise bracelet is intricately handcrafted. 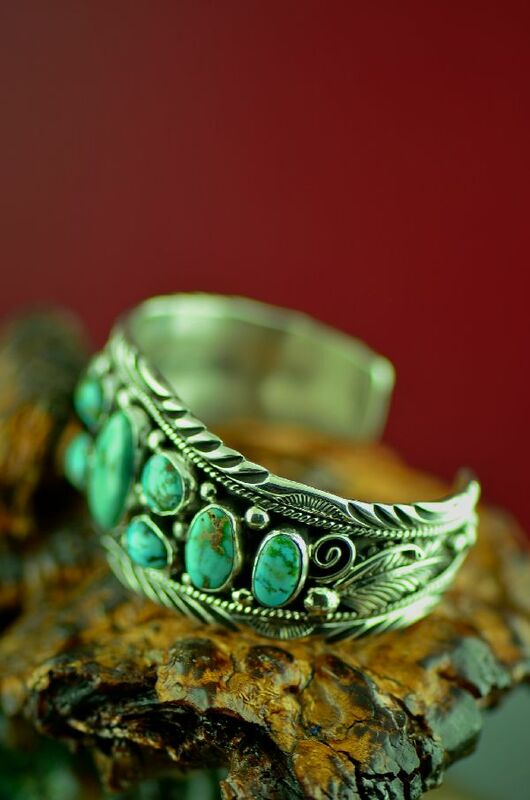 The artist has selected some of the finest Turquoise Mountain Turquoise stones to create this piece of art. 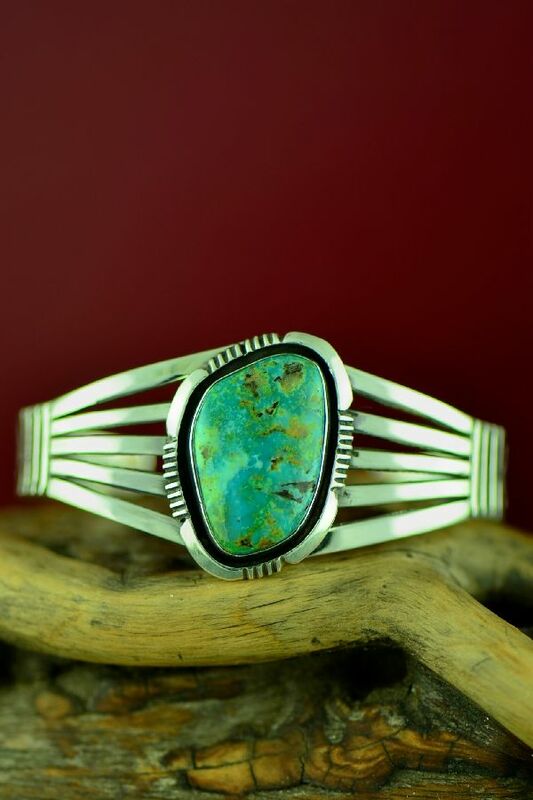 The Turquoise Mountain Turquoise stones are set in a smooth bezel surrounded by the high quality of silver work that Will is known for. 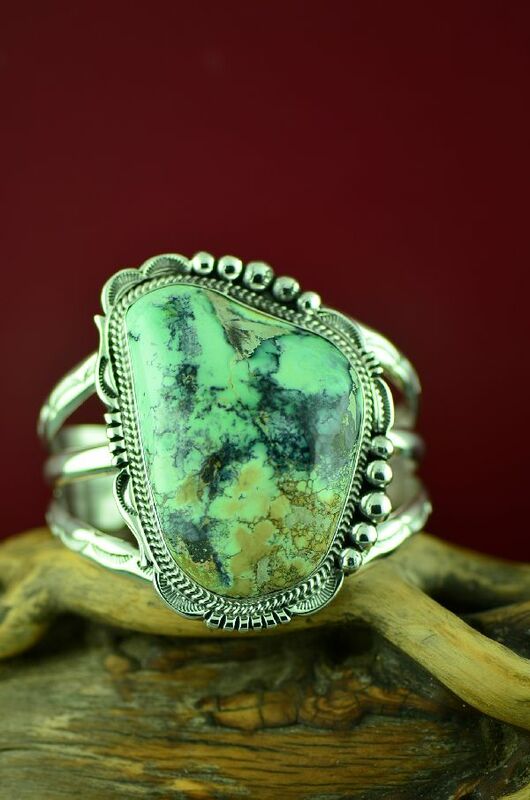 There are 9 beautiful Turquoise Mountain Turquoise stones. 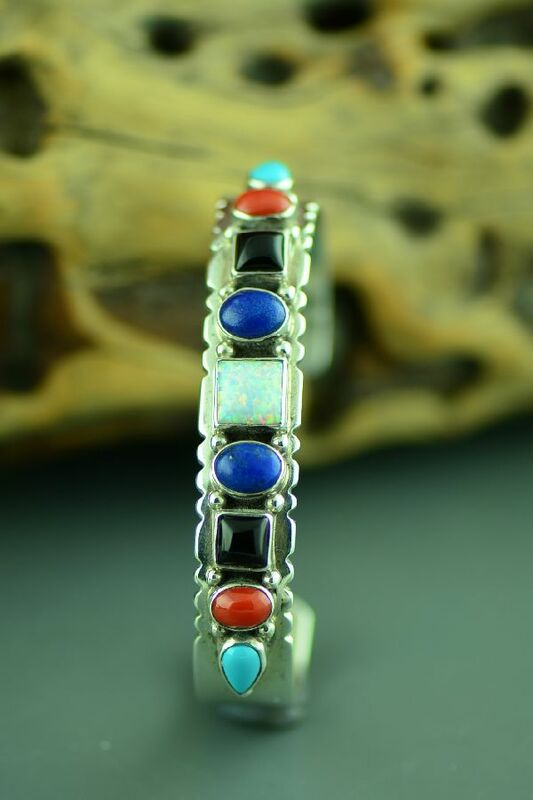 This bracelet is 1-3/8” wide and will fit a 5-3/4 to 6-1/4” wrist with a 1-1/8” opening. 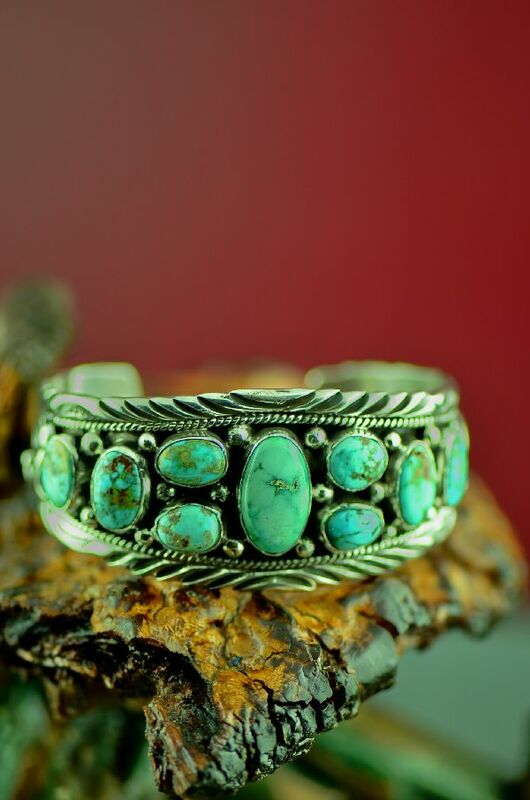 This bracelet is made of heavy weight silver and weighs 46.4 grams or 1.635 ounces. It is signed by the artist. A picture of the artist, with his biography and a Certificate of Authenticity come with this piece. 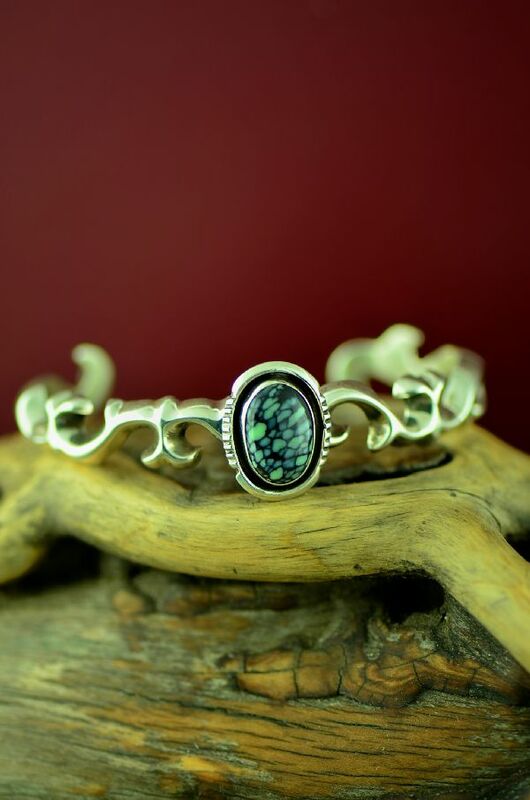 To learn more about the artist, click on the Artist Bios page from the home page.